2. How Do Short Sales Benefit Buyers? When you are able to secure financing for real estate investments, it allows you to make the greatest impact with the least out-of-pocket expense. The typically large sums that real estate purchases require are mitigated by the leverage that outside financing provides. 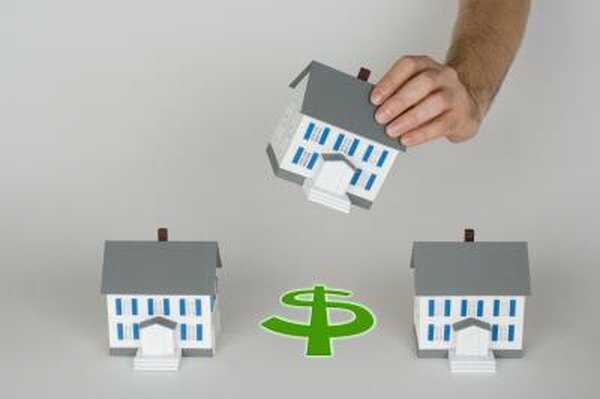 Understanding how to borrow the money you need to invest in real estate can help get you started in the game. When you enlist the services of a mortgage broker, you hand over the responsibility of finding a lender to the professionals. Brokers know which lenders are interested in real estate investment loans and which are better left out of the mix. They understand how to gloss over any weak points in your plan or your financial history and to go for the type of loan that best suits your goal. For example, say you are planning to buy property to hold for a long-term return. Your broker will search for a willing lender who provides a long-term loan at a low rate. If you are trying to buy and resell quickly, the broker may look for a shorter term loan with no early payment penalties. Private lenders are people with sufficient disposable income to lend at the promise of profit. Private lenders typically lend about 60 percent to 70 percent of the market price the property is projected to bring at the end of the deal. For example, say a house is a bit run down but would sell for $250,000 if it were in perfect condition. A private lender might hand over $150,000 toward the purchase, leaving you to cover the rest or negotiate the price down far enough to make the buy. After making the purchase you would handle the renovations and sale and pay back the lender her investment plus interest, leaving the rest for yourself, minus expenses and closing. If you don't have a rich uncle to call, there are some Web sites that can help you find willing investors looking for a partner. In some cases you may be able to bypass third-party financing altogether and work out a deal with the current property owner. Owner financing typically requires a down payment from the investor and a schedule of payments and interest agreed upon by both parties. In essence you are borrowing the value of the property from the owner and paying it off over time. If the owner is not in need of a bulk payment up front, and you are able to negotiate better terms with the seller than you would with a lender, owner financing can be a great way to get the property you want with minimal risk. Use your own personal investments and accounts to secure the funding necessary to buy an investment property. If you have a whole life insurance policy or equity in your current home you may be able to tap those assets to get what you need. Of course, anytime you put your own assets up as collateral, you risk losing them.